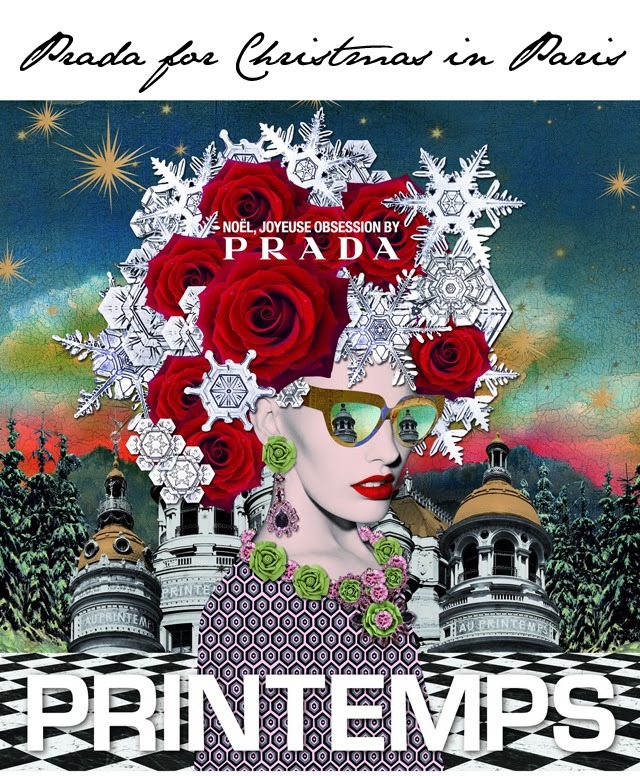 Printemps, Paris & Prada means Christmas! It's not even Halloween and we're talking about Christmas already. Apologies for this. Looks like the season has officially kicked off and we're full swing mistletoe and eggnog. This year we look to Paris first, where it has been announced that the Parisian department store Printemps is collaborating with Prada for the Christmas season. At the beginning of November, the facades of Printemps will be Prada-fied. Although it's not just Prada in residence, it looks like Santa is also playing a big part of the facade decoration as we hear his reindeer and a 16-metre sleigh will be taking off straight from Printemps. The eleven window displays of Printemps will carry the theme, yet will be decorated with distinct Prada symbols such as the chequered pattern and the teddy bear. The fun for Prada and Printemps doesn't stop at the windows. 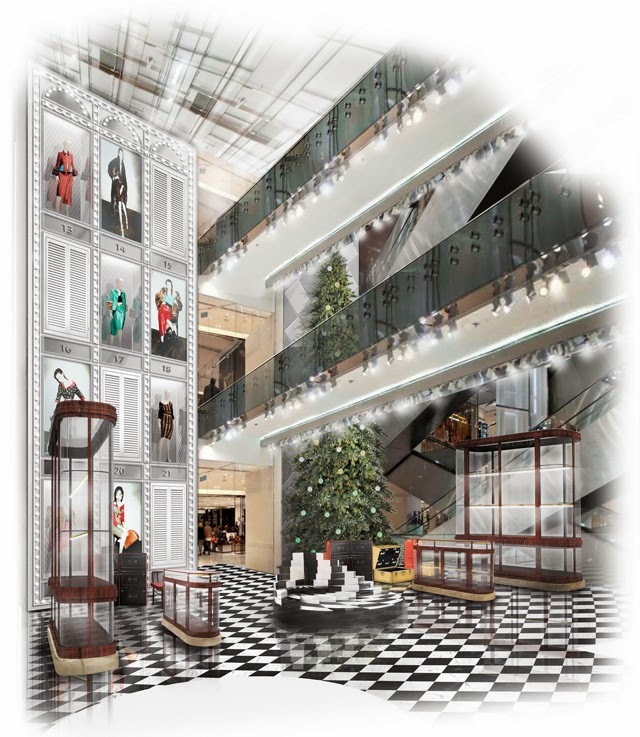 Inside the department store, you'll also find a Prada pop-up with a giant Advent calendar covering the main walls. It's the advent calendar we can't wait to see. There's a Prada-rific surprise in each and every one.